Sadhana Nivas is one of the property areas of Hacienda de Guru Ram Das. The property includes a number of nivas’ for housing, as well as the Sadhana Nivas building itself which has been recently renovated to include a classroom, bathrooms and a food preparation area. 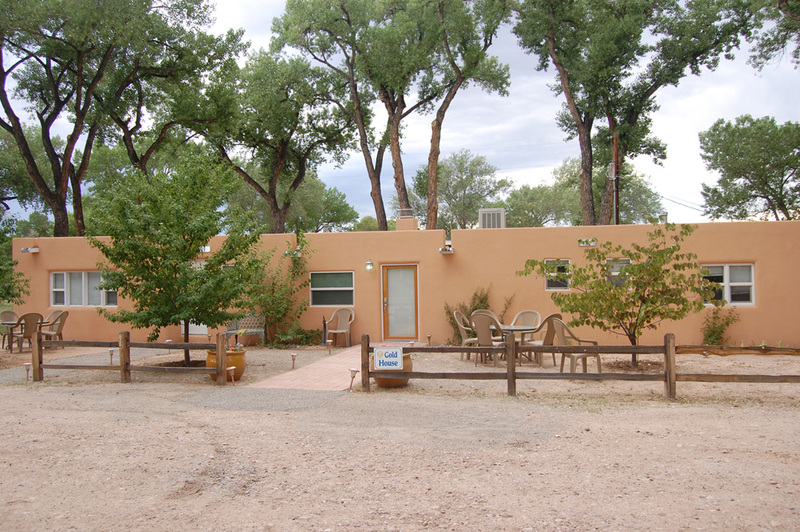 The Gold House (pictured) is directly opposite of Sadhana Nivas and is the historic original adobe home that Yogi Bhajan lived in and taught in when he first arrived in Espanola over 30 years ago. The Gold House is located in the ashram’s own grove of cottonwoods. It has been newly renovated; and is a beautiful 5 bedroom/2 bath home in a park like setting.